The International Investment Bank has joined the United Nations Global Compact — the largest international initiative in the field of sustainable development. It unites organizations, including leading international financial institutions (more than 10 thousand from 145 countries) taking leading positions in the field that promotes stable and open global economy and sustainable development. Such a decision was adopted by the management of the IIB. The Bank accepted voluntary obligations on the observance of the10 fundamental principles of the UN Global Compact in its activities concerning the protection of human rights, labor relationship, the protection of the environment and fighting corruption. 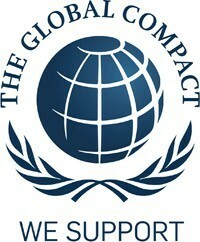 By joining UN Global Compact the IIB publicly confirms its accordance that the business practices , based on the universal principles of this initiative, promote better stability, the formation of the most prosperous and successful communities as well as the development of a more accessible and fair global market. The participation in the UN Global Compact will allow the International Investment Bank to develop its potential in the direction of the further improvement of its practices in the sustainable development and promotion of the principles of social responsibility in the business community. The idea of the Global Compact was offered by the Secretary-General of the United Nations — Kofi Annan during the World Economic Forum in Davos in 1999. The official start of the initiative was in 2000 in the headquarters of the United Nations. The UN Secretary-General Mr. Ban Ki-Moon personally supervises the activities of the initiative.